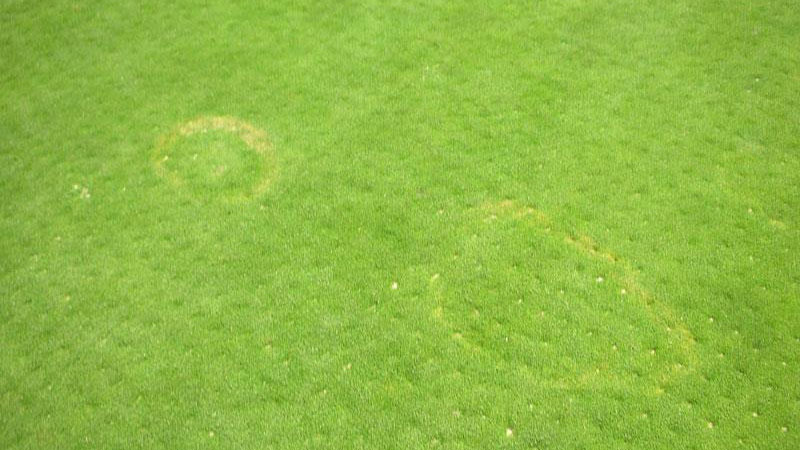 Yellow patch is a common disease of cool-season turfgrasses (bentgrasses, bluegrasses, fescues) during the fall, winter, and spring. 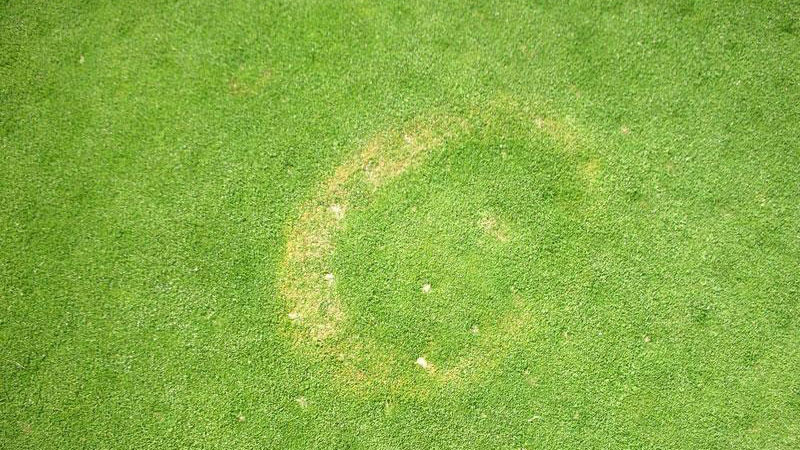 Symptoms appear as irregular patches or rings up to 3 feet in diameter that are yellow or white in color. 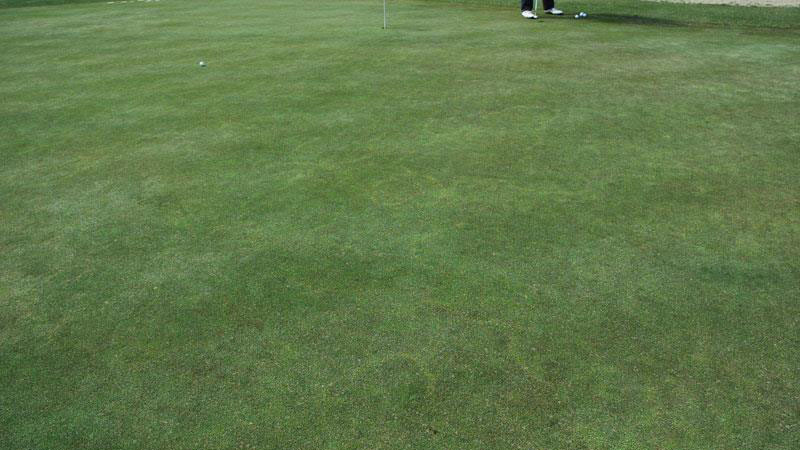 Multiple rings or patches may coalesce to form large, irregularly-shaped areas. Individual plants exhibit a yellow dieback of leaves or blighting of entire plants. No distinct lesions are evident on the affected plants. 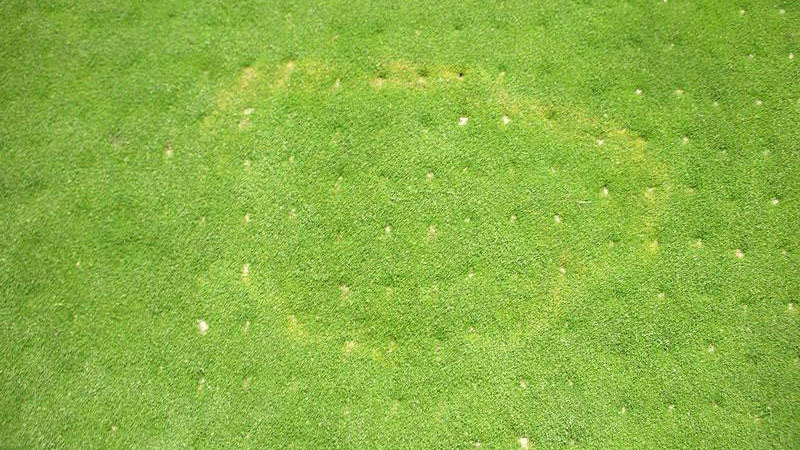 Recovery from yellow patch can be very slow because it occurs at a time of the year when the turf is growing slowly. 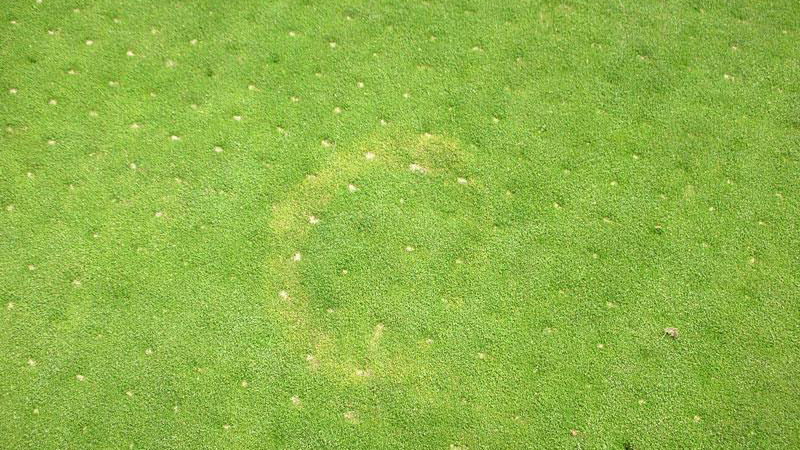 Yellow patch develops during extended periods of cool, cloudy, wet weather. The pathogen is most active when temperatures are between 50 and 65°F, but may cause infections under a broader temperature range (45 to 75°F). 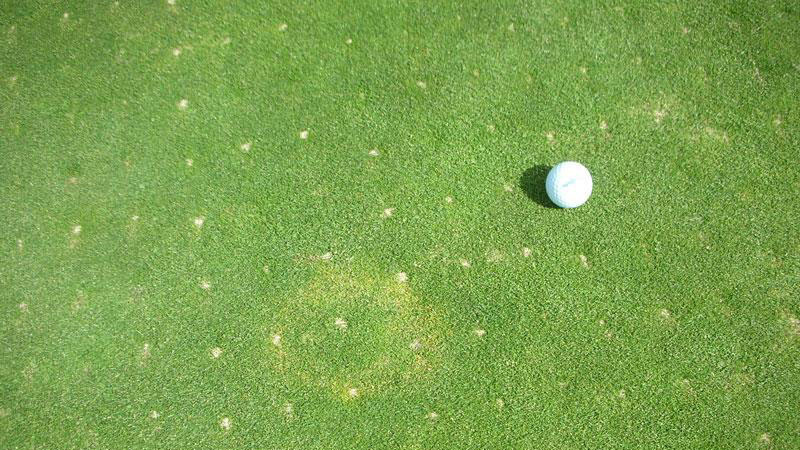 Excessive nitrogen applications, heavy thatch accumulations, and poor soil drainage also encourage development of this disease. 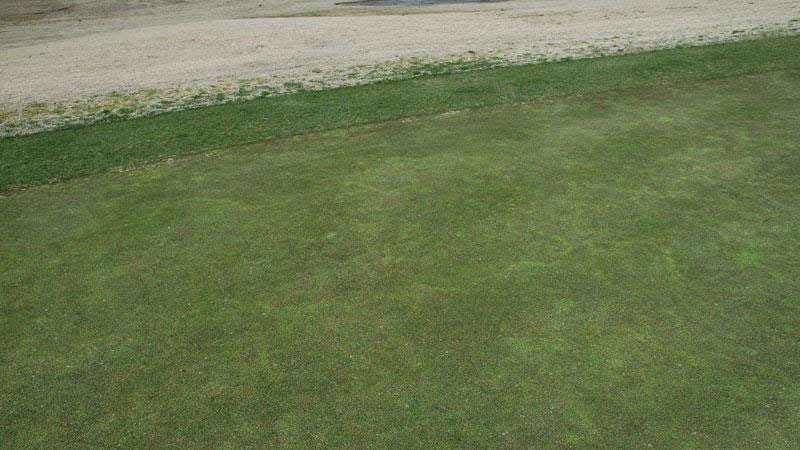 Avoid high rates of nitrogen (> 0.25 lb N/1000 square feet) during the late fall and early spring when yellow patch is most active, and use slow release fertilizers during this time so as to prevent flushes of foliar growth. 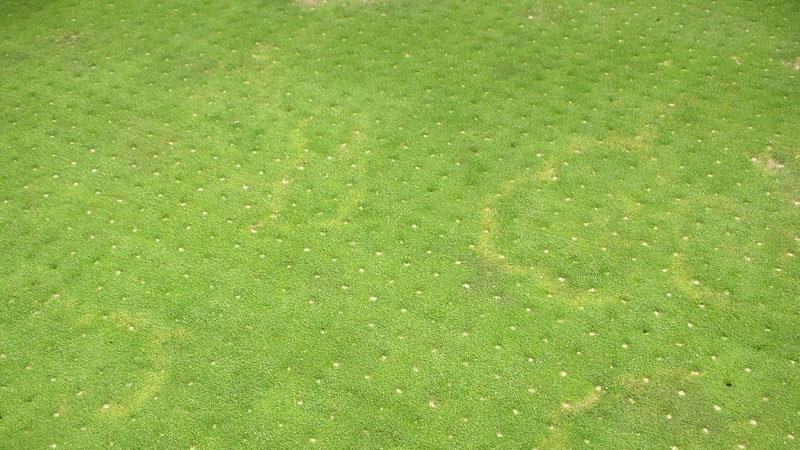 Ensure adequate surface and subsurface drainage, and aerify and topdress to reduce thatch accumulations. Pruning or removal of trees will increase sunlight penetration and speed recovery from yellow patch if symptoms appear. 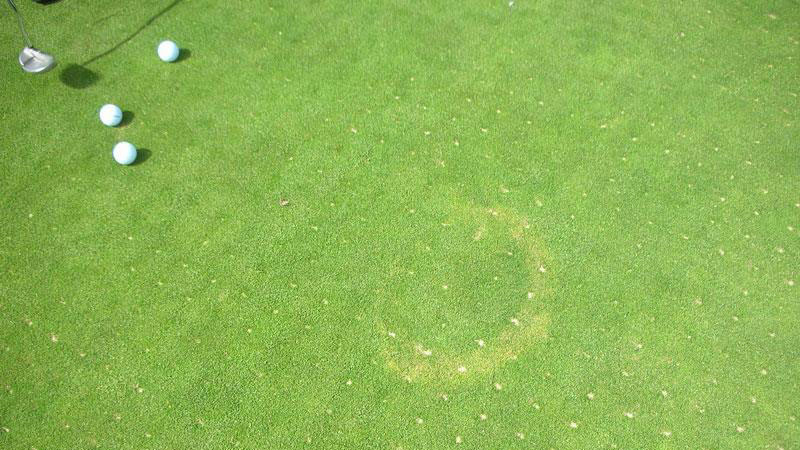 Yellow patch is best controlled on a preventative basis where it is a persistent problem. Curative applications will prevent further spread, but recovery will be slow if weather conditions are not conducive to turfgrass growth. 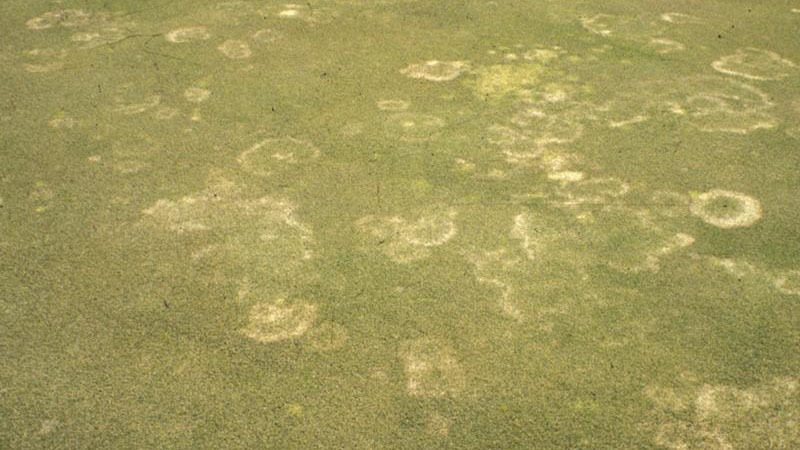 In North Carolina and other areas of the southern United States, yellow patch can be controlled curatively as fluctuating temperatures in fall, winter, and spring lead to intermittent periods of disease development and turfgrass growth. Figure 1. Yellow patch stand symptoms. Figure 2. Yellow patch stand symptoms. Figure 3. Yellow patch stand symptoms. Figure 4. Yellow patch stand symptoms. Figure 5. Yellow patch stand symptoms. Figure 6. Yellow patch stand symptoms. Figure 7. Yellow patch stand symptoms. Figure 8. Yellow patch stand symptoms. Figure 9. Yellow patch stand symptoms. Figure 10. Yellow patch stand symptoms. Figure 11. Yellow patch stand symptoms. Figure 12. 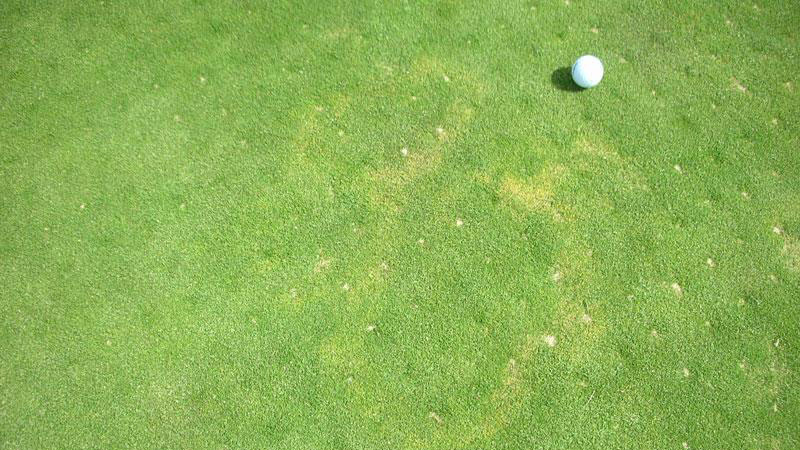 Yellow patch stand symptoms.